Can I watch the same plot over and over again? Will I throw things at my screen when *spoiler* wtf noooo OMGGGGG whyyyy is this happening!!! <— yeah, you all know (or will know) what I’m talking about… Will I ever be rid of the AAAAAALMOOOOST PAAAAARAAAAADIIIIIIISE earworm? Only time can tell! This will be a excercise in nostalgia for me – as it’s been several years since I have watched these! I’ll be giving a sort of recap of each episode as I go – but let’s be real, it will totally descend into madness as the plot revs up! My brief synopsis and the 4 dramas that I plan to torture myself with is below. I’ll be watching them out of their air-date order but from shortest to longest. 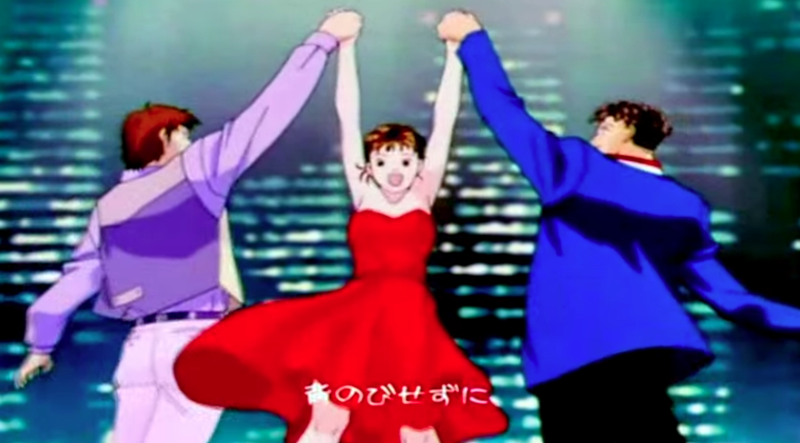 If I get through this epic rewatch, I may just have to do ‘Itazura na Kiss’ as well! A poor girl (our heroine) is accepted into a rich school, where she is horrified to find that far from being the bastion of education and equality that she was expecting, it is essentially filled with the indolent and pretentious children of the country’s elite families who look down on a poor scholarship student. Worst of all, the school is run by a group of 4 boys – the ‘F4’ who are the most arrogant, selfish and conceited of all who delight in terrorising those weaker with them with a hazing ritual known as ‘giving the red card’. A red card gives carte blanche for the school body to bully them into submission or dropping out. Highjinks, love triangles and DRAMA ensues with every plot trope in the world making an appearance! 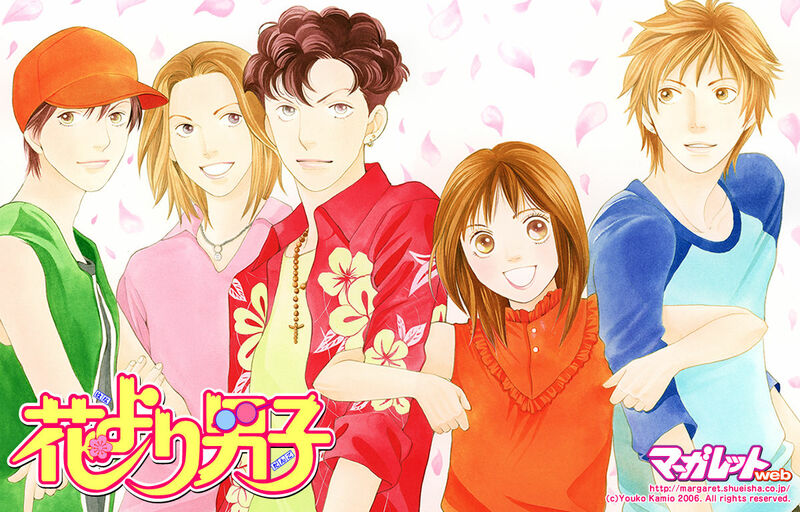 The source material for the dramas was was written and Illustrated by Yoko Kamio and serialised in the shojo magazine Margaret. It was later published in 37(!!!) Tankobon novels. I first read this manga in about 2009 (after watching the JDrama) and recently completed a re-read. It’s certainly a little dated reading today as it’s now set in what we would consider a retro-period (LOL how are the 90’s which is essentially my teenage years now suddenly the dark ages? ), but you will see so many familiar tropes and archetypes. The artwork is fairly simple, but it’s still a rollicking and fast-paced read. The scanlations are available online (some volumes are LQ) and the series is still in print. It’s actually the most popular Shojou series ever! I recommend it, purely because no filmed adaptation has been able to fully capture the spirit and characters – plus many characters and plots are omitted due to time restraints. Be prepared to sink a lot of time into reading and money if you end up buying the tankobons. The anime closely follows the plot of the manga and clocks in at 51 episodes! It was completed before the end of the manga, so covers about 3/4 of the overall plot leaving off just post the America arc. The anime was released in North America under VIS on DVD, but I found that the English voice dub was irritating and the subtitle translation was a bit spotty in a lot of places. Overall it’s a pretty enjoyable watch, if anything it’s more a moving picture version of the manga. It’s not a flashy high quality anime with intricate backgrounds, but it’s definitely watchable. You can track down fansubbed videos online, but only at a medium quality. (Or you can hunt down the DVD rips…) I won’t be covering this in my re-watch-athon but it’s still worth a look. The first live action adaptation shifts the action to Taiwan and to a university setting. This series was SUPER crazy popular when it aired and is still popular to this day. The actors who played the F4 even formed a boyband! Although it follows the general plot of the manga, it does deviate in places – but I consider it to be the closest to the spirit of the characters. It’s been a loooooong time since I’ve watched this, so I am saving it for second last – and seeing as there are 61 episodes to get through, it will take a while. I’ll be covering several eps at a time for this one. A runaway success in Japan when it was first aired, it had 2 seasons and a movie and catapulted its stars into the limelight. This is my favourite of all the adaptations (it’s basically due to my overwhelming love for Domyouji aka Matsumoto Jun), and will be my first series to rewatch and recap. Season 1 has 9 episodes, season 2 has 11 and the 2 hour movie wraps it all up! Another KDrama gateway drug (though not for me… I was already hooked when this aired) This adaptation moves the setting to South Korea (with the requisite character name changes) Another mega success domestically and overseas – it’s a part of the ongoing Hallyu Wave. 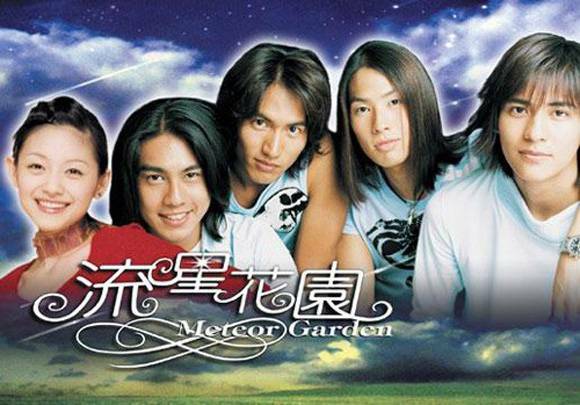 The loosest of all the adaptations, this was an ‘update’ to the original ‘Meteor Garden’. I’ve only watched the first season and I’m not sure that I completed it – at the time it was difficult to find subbed episodes. With 36 eps per season, this one is the longest of all! I prefer the Japanese drama rather than the Korean version because it was more funny in my opinion. Yet the Korean version added more elements to the storyline to make it more dramatic. I salute your dedication to this crazy cause. If you’ve gone insane by the time we see you in Canberra, we’ll all know why.